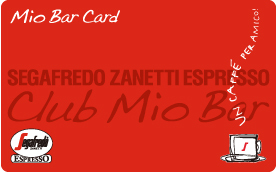 Club Mio Bar Membership Application is welcomed at any time! 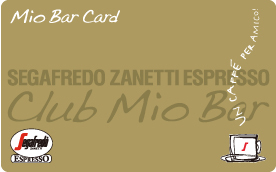 “Club Mio Bar” is a membership community dedicated to foster the circle of people who love espressos, coffees, Bars, and Italy. In addition to ongoing bonus services, we provide information on deals, discounts, events calling for participants, and anything related to Italy. “Mio Bar” is “my Bar” in Italian. Show us the membership card when you pay, and we will give you a discount on all items. With each visit (each check) 1 point is added to your card. As your points accumulate, your card can get an upgrade and a higher discount rate. Membership is offered to anyone who has an unexpired 【coffee card】 (paper point card) with 10 stamps. When you exchange your 【coffee card】 (paper point card) with a free drink, let us know that you want to join Club Mio Bar. We will give you an entry card. Access the membership site from your cell phone and register using the QR code on the entry card. *You can also input the URL directly. *Entry card will be exchanged for your Mio Bar Card so please keep it safe. Your Mio Bar Card will be delivered to the store you chose during registration. It usually takes about 2 weeks, but we will notify you of its arrival via email. Receive your Mio Bar Card in exchange for your entry card. You can enjoy the membership benefits from the next time you come to our stores. *Registration is also available online. *You can continue to use 【coffee card】 (paper point card), but you cannot use the two cards at the same time.